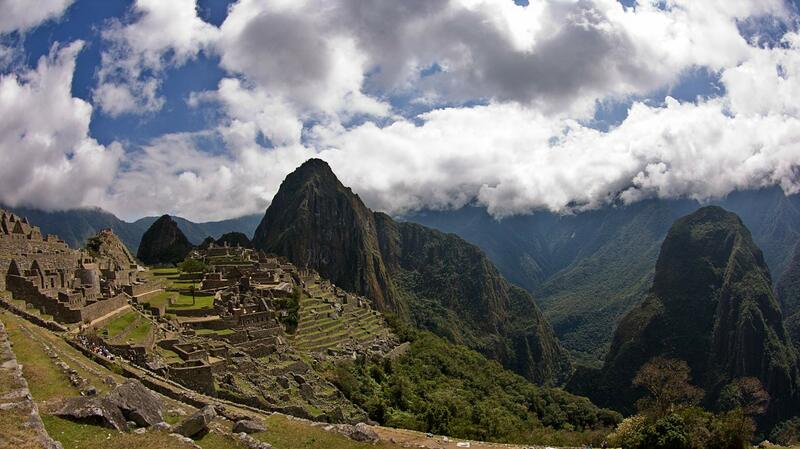 Machu Picchu - Peru "Old Mountain" is a pre-Columbian Inca site located 2,430 metres (7,970 ft) above sea level. Machu Picchu was built around 1450, at the height of the Inca Empire. It was abandoned just over 100 years later, in 1572, as a belated result of the Spanish Conquest.